Born at the end of the Mexican revolution, his family had to leave their home at the Hacienda de San Agustin del Vergel in Valparaiso, Zacatecas, to Mexico City after finding themselves in the middle of several gun battles to defend their land. After his father's death, Manuel was invited by a group to travel to Europe. The year was 1947 and when he returned to Mexico, Manuel Felguerez knew he would become an artist. He started at the Academia de San Carlos, but after his exposure to avant garde European art he found the methods here to be old and boring. Felguerez went back to France where he studied with Ossip Zadkine at the Grande Chaumiere Academy in Paris. In 1951 he returned to Mexico to study at La Esmeralda with Francisco Zuñiga but with the help of a grant by the French government in 1954 he was able to return to Paris to the Colarossi Academy to finish his studies with Zadkine and hold his first solo show in Europe. He met fellow painter Lilia Carrillo and the couple were wed in 1960. However in 1969, Lilia would suffer an aneurysm that would leave her paralyzed for five years until her death. After Lilia, Manuel Felguerez married Mercedes Oteyza, who had been married to Juan Garcia Ponce before. Manuel Felguerez was an academic all his life. Although a great artist, he never wanted to earn a living through his art, and much preferred to do so through teaching and investigative work. He worked for many important Institurions such as Cornell University, the Universidad Iberoamericana, the Universidad Nacional Autonoma de Mexico, and Harvard University. His political career was also busy as he was a member of several movements like that of the Comite de Artistas e Intelectuales of 1968. Felguerez was a strategist and he set himself on getting as much public work as he could in the decade of 1960. Selling his work cheap he was able to get contracts for more than 30 murals that were made in important institutions. Octavio Paz once made a remark where he recognized Felguerez as the founder of a new muralist movement because of his use of sculptural elements in a two dimensional space. After achieving international acclaim, Felguerez could now devote his life to painting. Among the many recognitions that this artist was awarded the Grand Prize of the Sao Paolo Biennial and the Guggenheim Fellowship that he received in 1975 stand out. He had been inducted to the Academia de las Artes two years before, received the Premio Nacional de las Artes in 1988 and in 1993 was named Emeritus Creator by decree of the Mexican President. 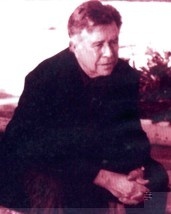 In 1997, Felguerez and his wife donated a large amount of works to the State of Zacatecas to open a Museum. A year later the Museo de Arte Abstracto Manuel Felguerez was opened to display more than 100 works by the artist including a large gallery which now houses the murals he made for the Mexican Pavilion at the World's Fair in Osaka, Japan. The museum's permanent collection also exhibits works by more than a hundred other international artists. His hometown of Valparaiso also named their Casa de la Cultura in his honor. The ceremony was the first time that the artist had returned after more than 60 years of exile. Today Felguerez lives and works in Mexico City and Puerto Vallarta.